So what about the previous photo? 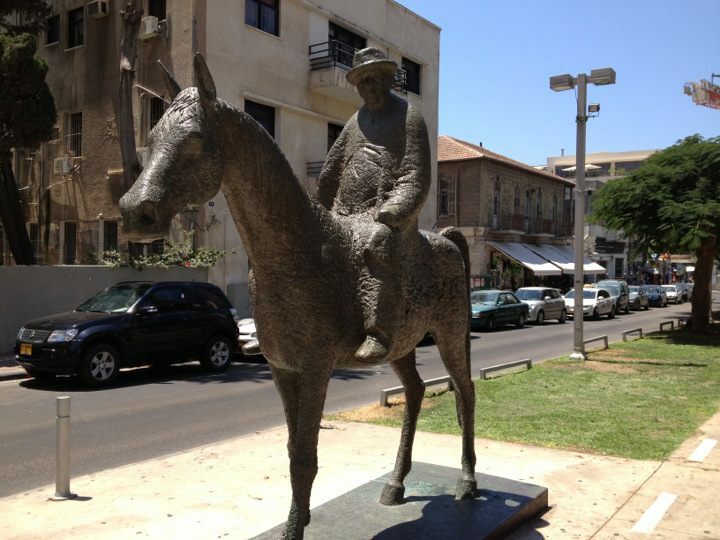 As everyone correctly noted, it is a statue of Meir Dizengoff atop his beloved horse. So congrats to Gary, Lisa, Nachum and Orah! Though I must admit that despite Gary’s clever reply, I can’t promise the horse was a mare (female) and not a stallion (male). Nor have I been able to confirm its name. Still, for fun’s sake, let’s go with it! So who was Meir Dizengoff? He was the first mayor of the city of Tel Aviv, and it would be fair to say that few people left their mark on that city as much as he did. Many cities have had beloved mayors who were virtually synonymous with the cities’ characters. Think Teddy Kollek in Jerusalem or Ed Koch and/or Fiorello LaGuardia in New York City. That’s who Dizengoff was for Tel Aviv. Dizengoff was among the founding members of Achuzat Bayit, the suburb of Yaffo/Jaffa established in 1909 that would soon be renamed Tel Aviv. When it became its own city in 1921, Dizengoff would become its first mayor (Mayor Meir, as we like to call him). He and his wife Zina never had children, so in many ways the city itself filled that role. And at times he was a tough father. He used to say, “If you want to be mayor, build your own town.” But without a doubt, he left an indelible and positive mark on the city. But perhaps the most significant event in Tel Aviv’s history that is connected with Mayor Meir is the one that is also the seminal event in the country’s history — the declaration of independence on May 14, 1948. After Zina Dizengoff died, Meir donated his home (from the original Achuzat Bayit plot) to become the home of the Tel Aviv Museum of Art. 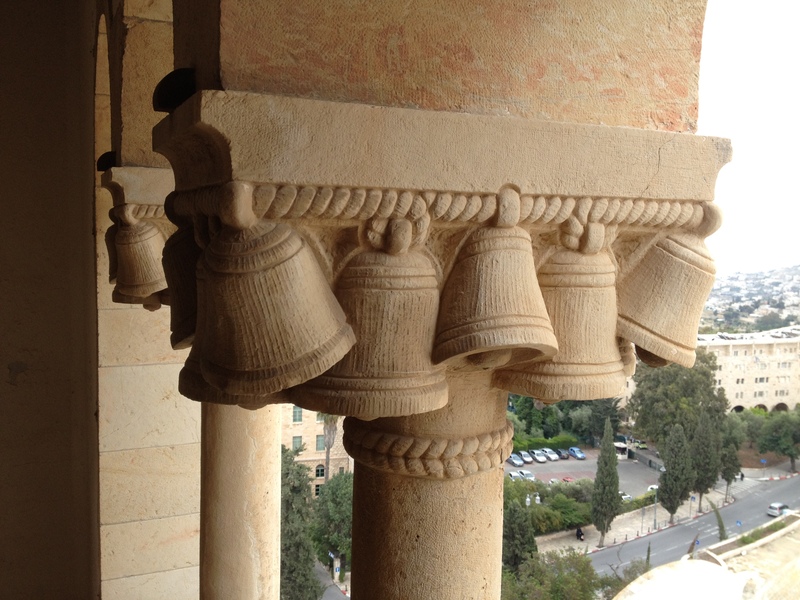 With Jerusalem under siege in May of 1948, the declaration of the State took place in this public building. Today, it houses the Independence Hall museum, and I highly recommend a visit to anyone visiting Israel. 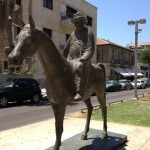 The statue in the picture sits in front of it, in the center median of Rothschild Blvd. Now, get to guessing what the current mystery photo is of! 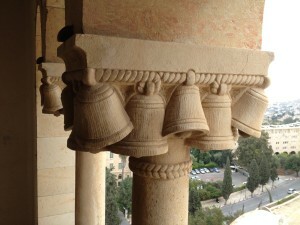 Top of the Jerusalem YMCA?